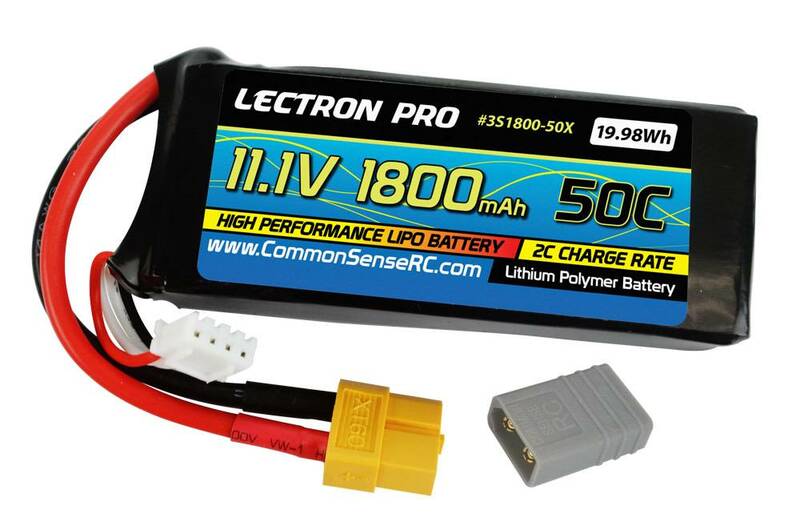 Our 3-cell Lithium Polymer 1800mAh battery pack now has an XT60 connector, making it a great option to get the most out of FPV racing drones and quadcopters. Also a great fit for tons of 1/16 and 1/18 scale cars and trucks! 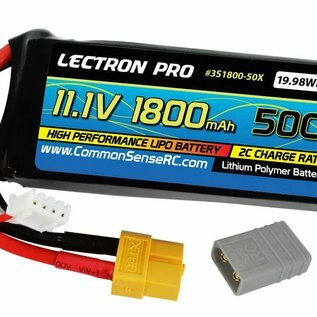 Includes a Common Sense RC adapter to convert XT60 connectors for use Traxxas® vehicles.